If you’re a monopoly fanatic and a slot lover, or either one of the two, this game is perfect for you! Monopoly Mega Movers is an online slot now featured at Vegas Spins Casino, themed on the famous game board game, Monopoly! Enjoy the number of features that come into play, where some of them are Prize Wheels, Wild Spins, Wild Symbols and more! Launch this game on your mobile, desktop or tablet, and start to enjoy the rewards that are awaiting you! Initiate your gameplay on Monopoly Mega Movers slot by setting your bets on the Bet/Line Field by using the plus or minus buttons. Make use of the Autoplay option, which comes in handy if you’d like to play the game handsfree! The aim of the game would be to form winning combinations from left to right of the slot grid, on active paylines, with 3 or more identical symbols! Bet Levels: No bet levels available on Monopoly Mega Movers Slot. Coin Values: Stakes range from the lowest value of £0.50 to the highest value of £75.00. The wild card of the game is the WILD, and replaces all other symbols on the reels. When this symbol lands with arrows, it expands to the indicated directions to increase your winning chances. Wild Spin Bonus is triggered from the Prize Wheel! This awards 3-4, 4-5 or 5-12 wilds from the 3 in a row, 4 in a row and 5 in a row wheels respectively. Watch out for background symbols, as they trigger one of the three rewarding prize wheels. Upgrades give you one spin in the Wild Spin Bonus. Enters the Free Spins Bonus. Triggers Major, Mega or Grand Jackpots. Or win 150x, 500x, 2,000x times your stake. Upgrade gives you 1 spin on the 5 in a row wheel. One Spin on the Wild Spin Bonus. Triggers the Free Spins Bonus. Triggers the Minor or Major Jackpots or 40x or 150x your bet. Upgrade gives you one spin on the 4 in a row wheel. One spin of the Wild Spin Bonus. Triggers the Mini or Minor Jackpots, or even 24x or 40x your stake correspondingly. 7 or 10 free spins when Extra Bet is active. 5 or 7 when Extra Bet is inactive. 12 or 15 free spins when Extra Bet is active. 10 or 12 when Extra Bet inactive. 20, 50 or 100 free spins when Extra Bet is active. 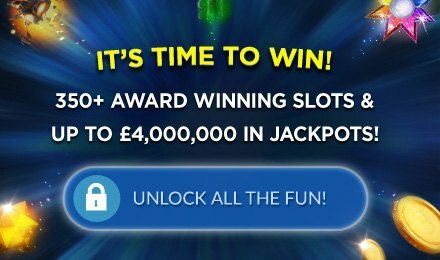 15, 20 or 50 free spins when Extra Bet is inactive.